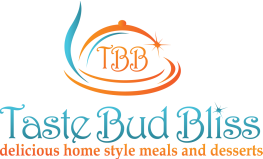 Taste Bud Bliss dishes are prepared with a home style goodness sure to please the palate and leave everyone blissfully satisfied. Remember, a "simply delicious" home style meal and dessert are what we do best. Serving you only the best!